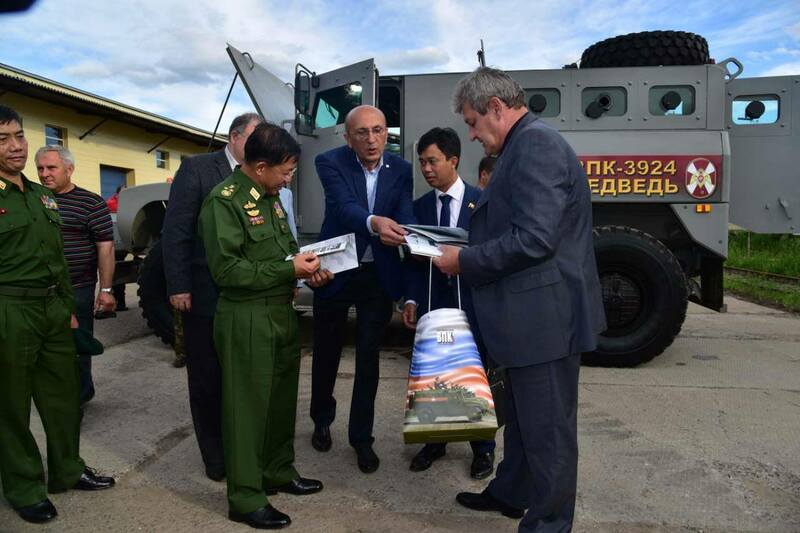 Afterwards, the Senior General presented commemorative gifts to officials of the company. 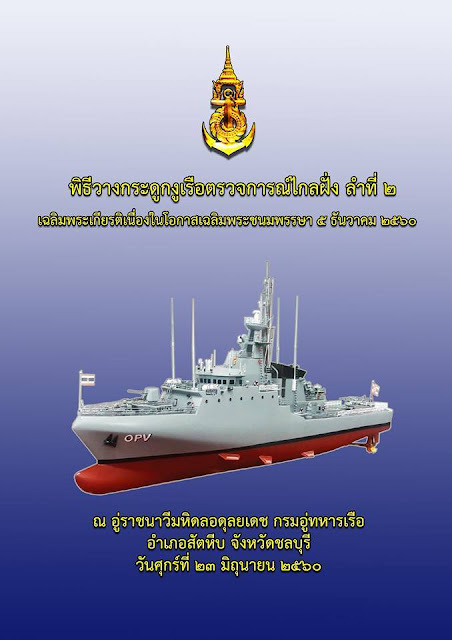 The RTN acquired the design of the OPV from BAE Systems in 2009, with the UK group also signing a contract to support the construction of the second OPV in February 2016. 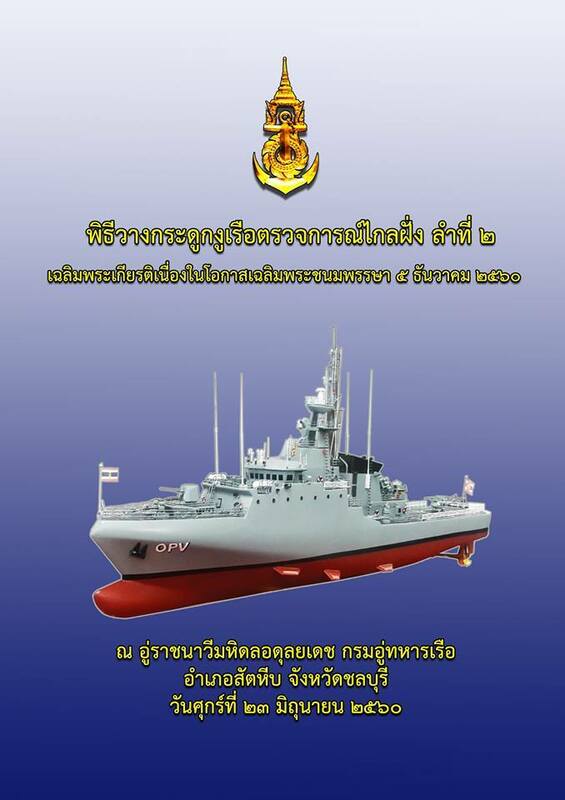 At the keel laying ceremony, the RTN said that the building of the second OPV will consist of two phases and have a total budget of THB5.5 billion (USD170 million). 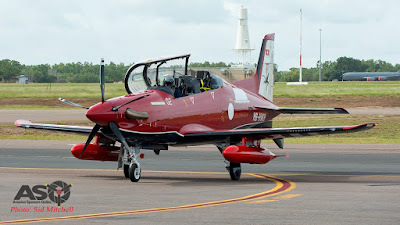 Martin-Baker Australia and Pilatus Aircraft have signed a letter of intent for Martin-Baker Australia to provide ejection seat maintenance, repair and overhaul (MRO) for the Royal Australian Air Force (RAAF) PC-21 aircraft. The agreement between the companies proposes a seven-year firm fixed price solution with rolling contract change proposals out to 20 years. Martin-Baker Australia's managing director Andrew Eden said the arrangement is the best fit for the performance-based contract. "This arrangement makes sense under a performance-based contract, we are best able to provide this service efficiently and manage and control the risk and liability associated with our product and this proposal flows that down to us," said Eden. "It represents the same partnership with Pilatus for through-life support and sustainment that we have during design, development and production." ISO9001:2015 certification of the Martin-Baker integrated management system (IMS) was granted last week by Southpac Aerospace. 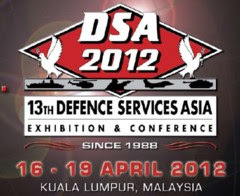 This IMS covers both quality and safety management within the company and provides the foundation for the future DASR Part 145 Maintenance Organisation Exposition. Martin-Baker director of business development and marketing Andrew Martin said the services within this agreement are a good reflection of why the company formed an Australian subsidiary. "The services covered by this agreement are the reason we formed Martin-Baker Australia," said Martin. "To provide the best possible sustainment solutions to our end users at the best possible price. 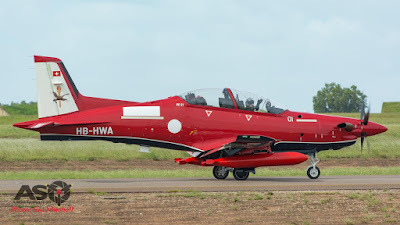 To take this from the idea in our board room to potentially a life of type agreement on a large fleet of aircraft like the RAAF PC-21 is a great achievement." Rob Oliver, Pilatus’ director defence Australia, said, "We’re looking forward to this partnership and are pleased to continue our long relationship with Martin-Baker; a comprehensive service arrangement for the egress systems with the OEM of the ejection seats is a robust and elegant solution. 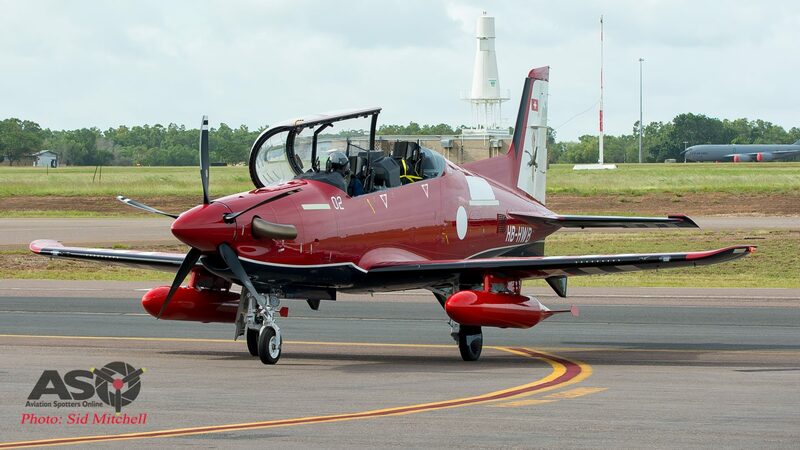 This also increases our commitment to a new in-country Australian industry capability supporting the PC-21." The first maintenance under the agreement will be due in mid-2018, ramping up to full capacity within two years. The RAAF said the Pilatus PC-21 is the world’s most advanced pilot training aircraft. As part of the AIR 5428 Pilot Training System project, the PC-21 will replace Air Force’s current PC-9/A and CT-4B aircraft. In March this year, the RAAF's PC-21 pilot training system was declared a significant leap forward in pilot training by Minister for Defence Personnel Dan Tehan. 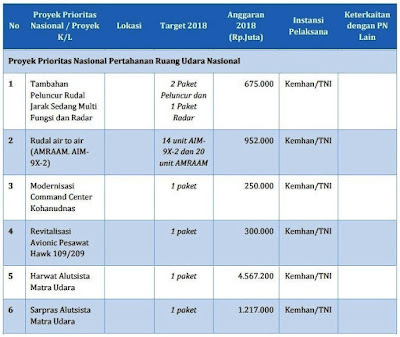 Metrotvnews.com, Jakarta: Menteri Pertahanan (Menhan), Ryamizard Ryacudu, menyebut pembelian Sukhoi SU 35 menguntungkan Indonesia. Sebab ada kerja sama berkelanjutan antara negara produsen Rusia dengan pemerintah Indonesia. "Karena ada imbal dagangnya 50 persen. Kita bisa ekspor," kata Ryamizard di Kantor Kementerian Pertahanan, Jakarta Pusat, Kamis 22 Juni 2017. Perjanjian antara Indonesia dan Rusia itu meliputi pembangunan pabrik suku cadang pesawat tempur di Tanah Air. Nantinya di Indonesia akan tersedia suku cadang hingga pusat perbaikan Sukhoi. Namun Menhan menolak menjelaskan detail kerja sama termasuk 50 persen imbal dagang mengingat hal tersebut, kata dia, masuk ranah Kementerian Perdagangan (Kemendag). 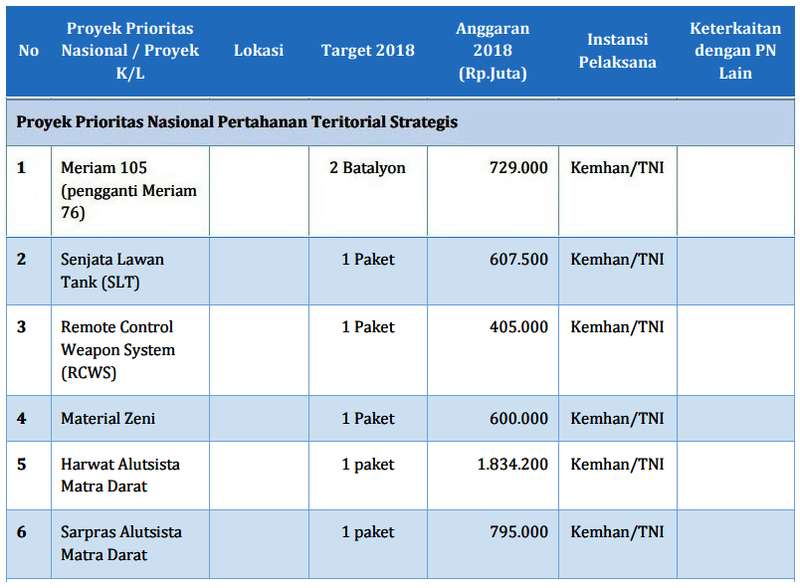 Yang jelas, Ryamizard akan berusaha mendatangkan 10 lebih pesawat tempur Sukhoi ke Tanah Air. "Kemarin kan dananya untuk 8 pesawat, saya akan coba bisa 10. 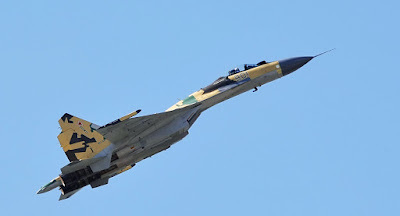 Kalau bisa 11 (pesawat Sukhoi)," kata Ryamizard. Disinggung mengenai waktu kedatangan pesawat, Mantan KASAD itu meminta semua pihak sabar. Karena proses mendatangkan pesawat terbilang rumit, apalagi yang baru. "Ya dibuat dulu, kan kita enggak beli bekas," pungkasnya. Second Minister for Defence Mr Ong Ye Kung visited the Republic of Singapore Air Force (RSAF)'s 150 Squadron at Cazaux Air Base, France last evening (SG time). During the visit hosted by the Chief of Air Force Major-General Mervyn Tan, Mr Ong received a brief on the detachment's training programme and boarded the M-346 Advanced Jet Trainer for a familiarisation ride. He also met the families of the RSAF personnel deployed there and thanked them for their strong support. Speaking about the quality of the training in France, Mr Ong said, "Our fighter pilot trainees here have access to advanced systems and receive high-quality training. 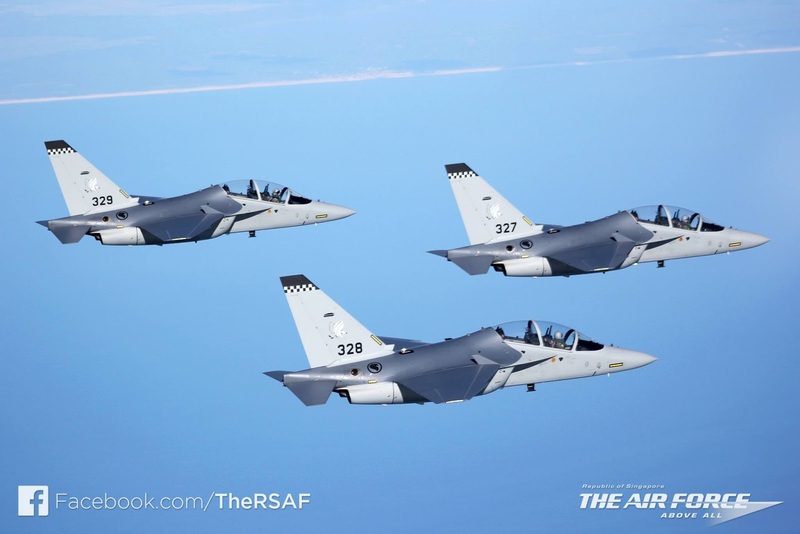 They train on the M-346 Advanced Jet Trainer to conduct a wide range of operational missions. Such training is important as they provide the pilot trainees with a strong foundation to operate the F-15SG and F-16 aircraft later on. We appreciate France's support and hospitality for our detachment, which will be celebrating its 20th anniversary here next year. The opportunity to train in France has strengthened the professionalism and capabilities of the RSAF, and reinforces the personal ties between the RSAF and their French counterparts here." The Cazaux Air Base in France is home to RSAF's 150 Squadron and its personnel, including pilots, Air Force Engineers, trainees and support staff. 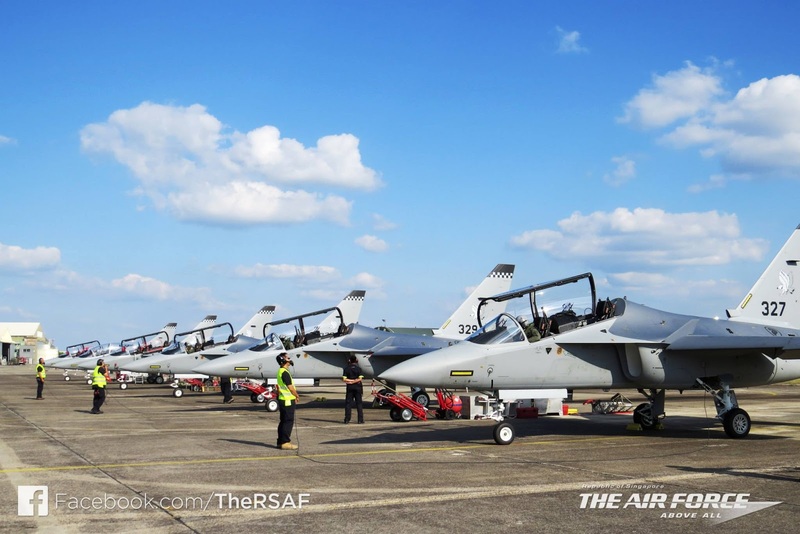 Since 1998, the RSAF has conducted flying training in Cazaux; such overseas training and detachments allow the RSAF to overcome the land and airspace constraints in Singapore. Both the RSAF and the French Air Force also interact regularly through visits, professional exchanges and courses. 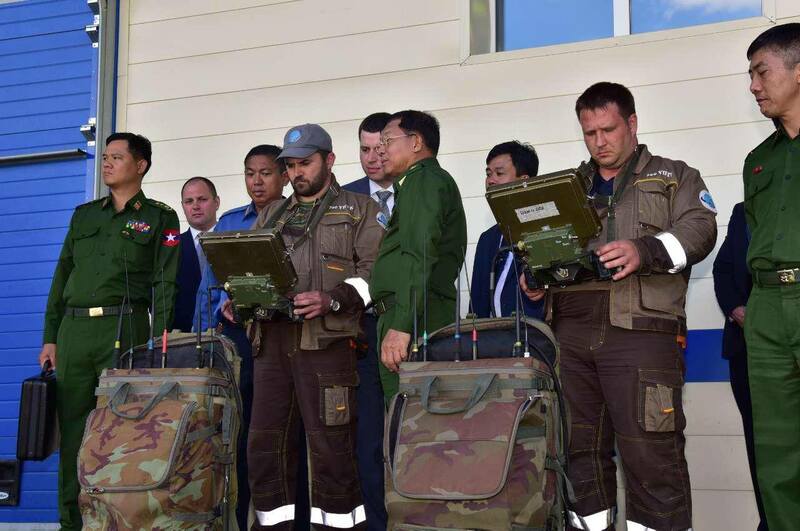 These interactions have contributed significantly towards the excellent and long-standing defence relations between the two countries, and strengthened the mutual understanding and camaraderie amongst the personnel of both Air Forces. Menjelang Idul Fitri ini, para pembaca tentu sudah menyiapkan sejumlah rencana berikut anggarannya. 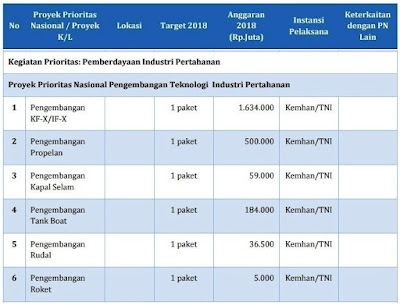 Demikian juga pemerintah Republik Indonesia, kini tengah menyiapkan rencana kerja di tahun 2018 mendatang. 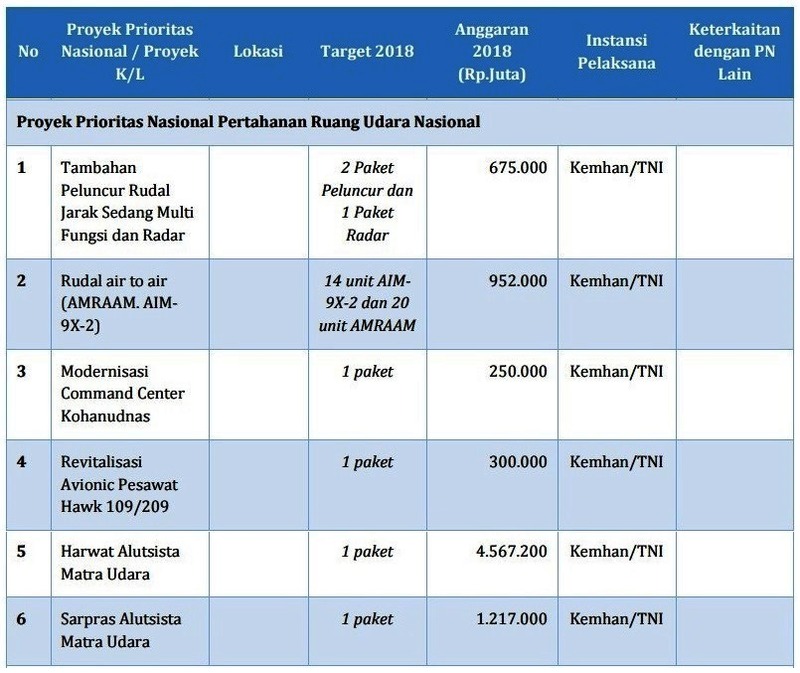 Karena media ARCinc ini berfokus pada militer dan aviasi, tentu disini kita akan telaah apa saja rencana pemerintah di tahun 2018 dalam bidang pertahanan. 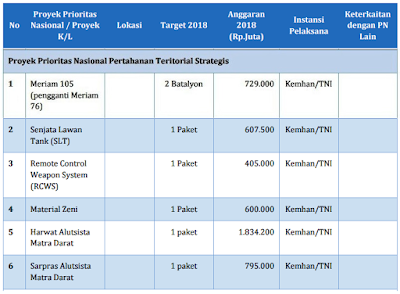 Dari data Rancangan Awal RKP 2018 yang ARCinc peroleh, bisa sedikit kita intip rencana besar pemerintah di tahun depan. 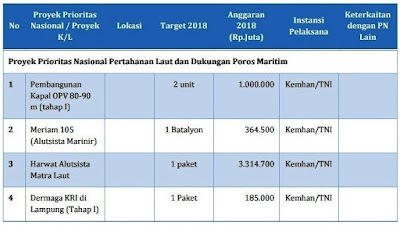 Yang mencolok bagi redaksi adalah pengadaan 3 batalyon meriam kaliber 105mm, dimana 2 batalyon diantaranya adalah untuk pengganti meriam tarik 76mm yang sudah uzur, serta 1 batalyon lainnya untuk marinir TNI-AL. Data ini kemudian kami konfirmasi ke salah satu agen Nexter (produsen meriam asal Prancis), dan ia pun membenarkan akan adanya pengadaan 3 batalyon meriam LG-1 Mk3. 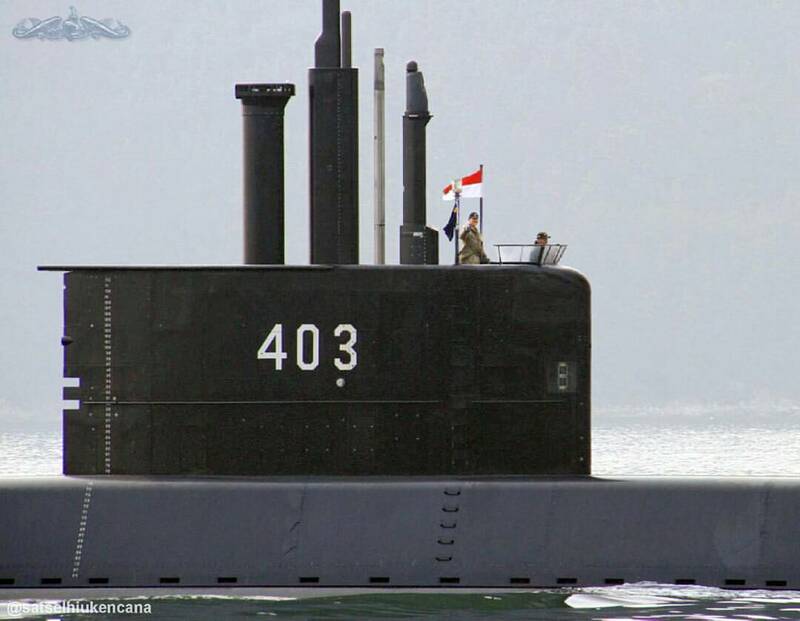 Point menarik lainnya adalah pengadaan kapal OPV 80-90 meter. Menjadi menarik karena pengadaan 2 kapal ini memakan biaya mencapai Rp 1 Trilyun. 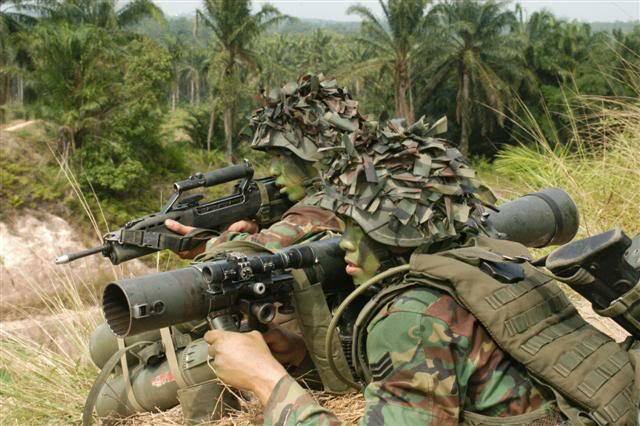 Boleh lah kita berharap jika benar dibeli, maka OPV ini nanti sudah full combat ready. Sementara itu untuk matra udara, akan kembali dilakukan pengadaan lanjutan rudal darat ke udara jarak menengah tahap 2. 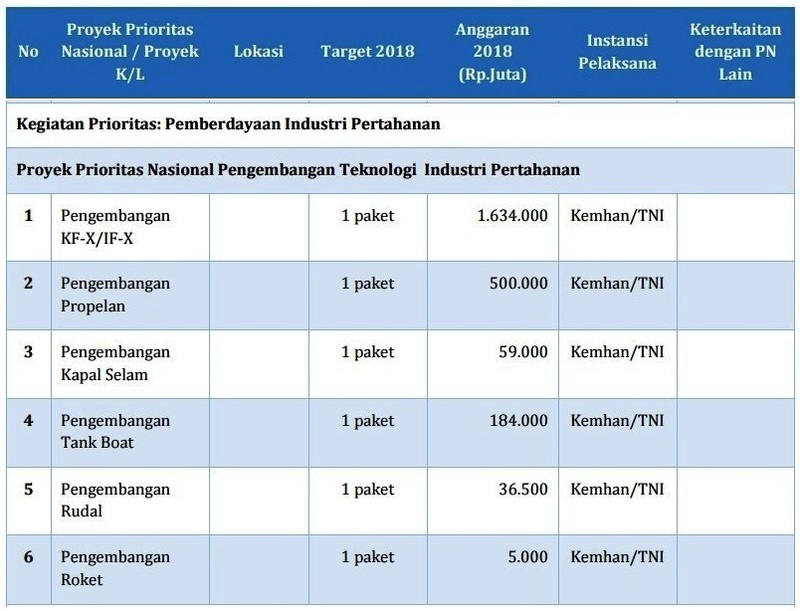 Ini tentu menjadi pertanyaan, apakah pengadaan tahap pertama sudah teken kontrak? Selain itu ada pula pengadaan rudal AIM-9X dan AIM-120, dimana pada pengadaan Sidewinder sudah terkonfirmasi oleh pemerintah Amerika Serikat. Pengadaan alutsista pada jaman Presiden Jokowi memang tampak tidak sebesar masa Kepresidenan sebelumnya. Namun perlu dipahami, pembelian alutsista pada masa Presiden SBY membawa dampak pada masa pemerintah kini. Alutsista yang mahal dan berteknologi canggih tentu memerlukan anggaran yang tidak sedikit untuk pemeliharaan serta sarana dan prasarana pendukungnya. Karena itu porsi terbesar anggaran justru ada pada perawatan alutsista. Tercatat untuk Harwat alutsista matra darat sebesar Rp 1, 8 trilyun rupiah. 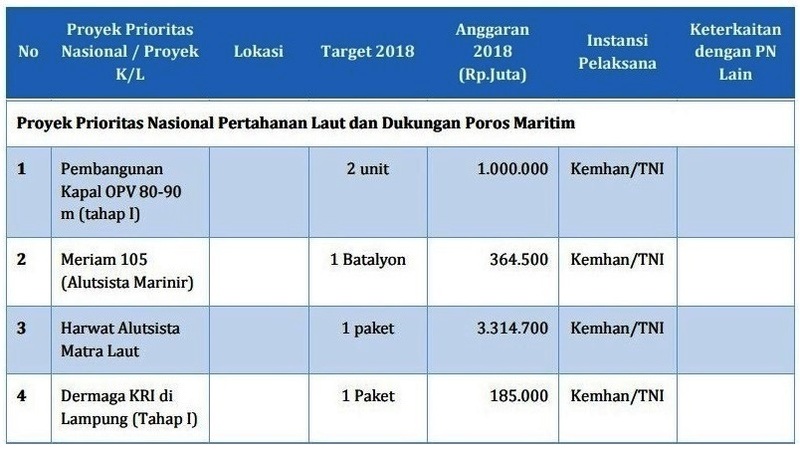 Disusul anggaran harwat untuk matra laut sebesar Rp 3,3 Trilyun, dan yang terbesar adalah untuk alutsista matra udara sebesar Rp 4,5 Trilyun. 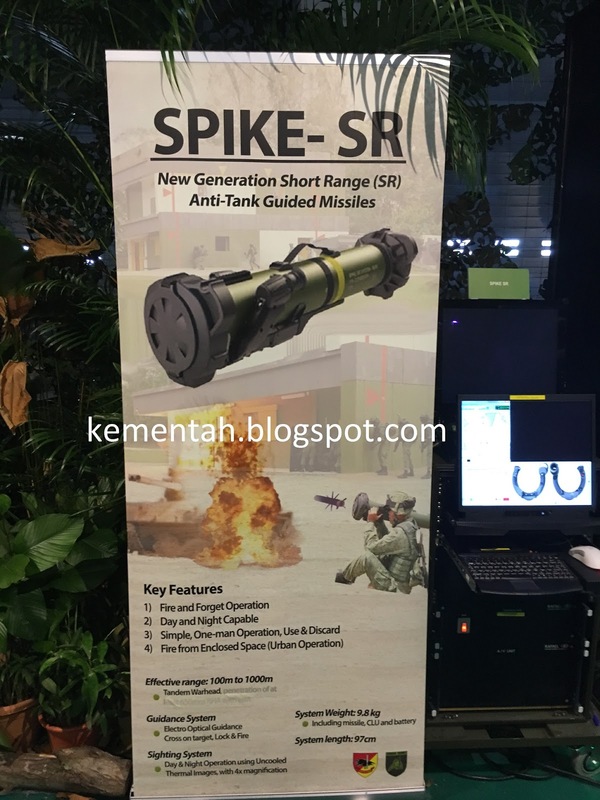 The Singapore Army has acquired the Rafael Advanced Defense Systems Spike Short Range (SR) manportable missile system as its next generation guided anti-armour weapon for its infantry and guards forces, Jane's has learnt at its Army Open House 2017 event that was held in late May. Jane's understands that the Spike SR has replaced the Saab Bofors Dynamics 84 mm Carl-Gustaf M2 recoilless rifle in army service. "Soldiers will be trained in the Spike SR system from June 2017," the Ministry of Defence (MINDEF) revealed to Jane's in an emailed statement on 18 June. The Spike SR is the latest and most compact member of Rafael's Spike fire-and-forget missile family. 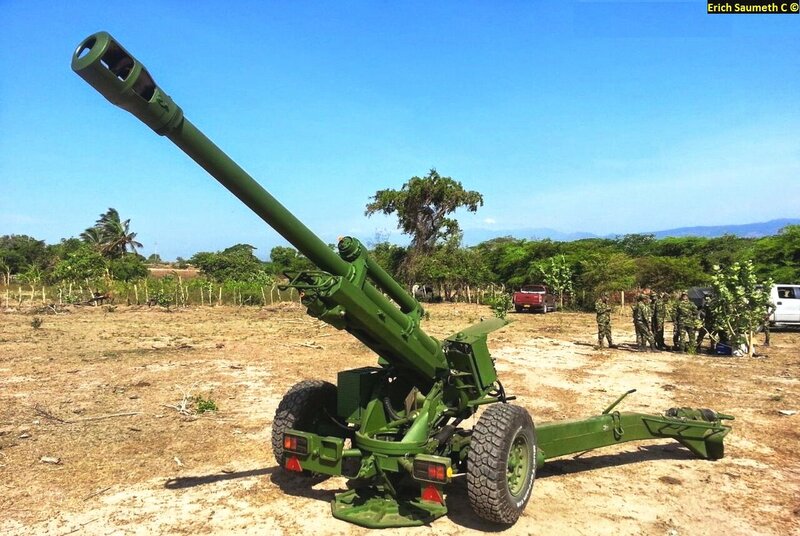 Specifications released by the army describe the system as a disposable, day and night-capable weapon that is 970 mm long with an overall weight of 9.8 kg inclusive of the missile, control launch unit (CLU), and battery. 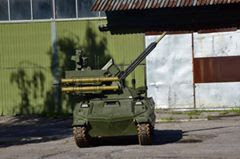 Unlike the gimballed seeker installed in the Spike MR/LR/ER (medium-, long-, and extended range) missiles, the Spike SR incorporates an uncooled and fixed day/night-capable electro-optical (EO) seeker and tracker. According to company literature, the SR has a short activation-to-launch cycle of less than 6 seconds. 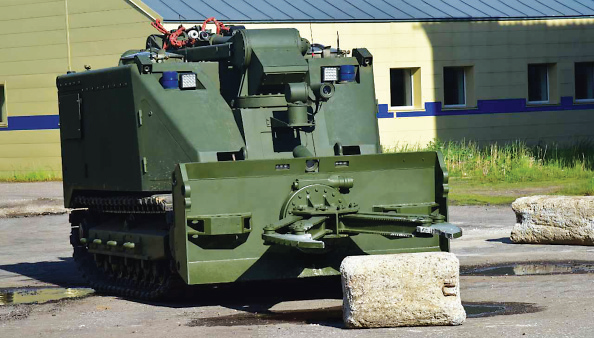 The baseline Spike SR configuration features a tandem high-explosive anti-tank (HEAT) warhead designed to hit static and moving armoured vehicle targets. However, Jane's earlier reported in 2016 that Rafael has introduced a new penetration blast fragmentation (PBF) warhead - employing the warhead technology developed jointly by the Singapore Defence Science and Technology Agency (DSTA) and the company's Dynamit Nobel Defence subsidiary for the 90 mm MATADOR (Man-portable Anti-Tank, Anti-DOoR) light support weapon - to provide troops operating in urban environments with a tactical anti-structure capability. In a joint activity conducted during the months of May and June HMAS Anzac embarked an MRH90 flight from 808 Squadron for a trial designed to expand the capability of Anzac class frigates to include day and night flight deck operations in a range of weather conditions. An Aviation Medical Officer, a meteorologist and a Flight Deck Marshaller also joined Anzac for the period. Until now, the helicopter has only conducted utility evolutions such as vertical replenishment and light winch transfers to Anzac frigates. 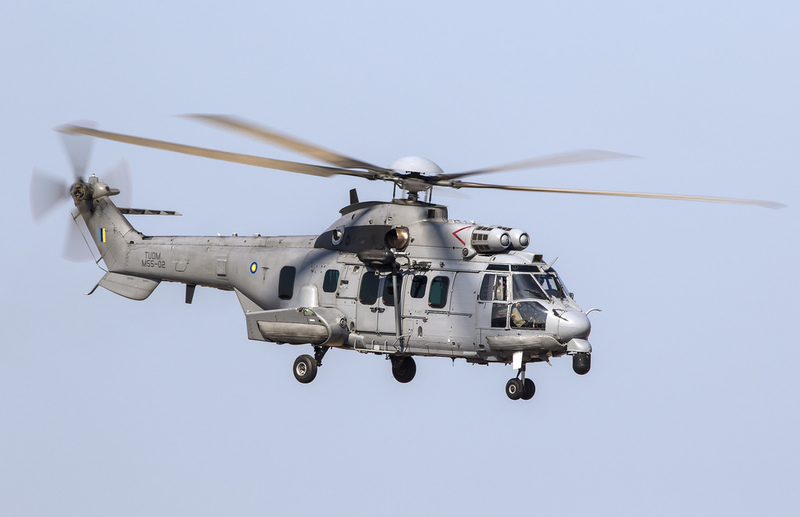 The test aircraft – callsign Cobra 22 – undertook landings and take-offs in a variety of conditions while at its maximum embarked operating weight of 10,600 kilograms. Commanding Officer Anzac Commander Michael Devine said his team was energised by their part in the successful trials. “It was a professionally rewarding experience to have participated in trials that will inform the development of significant capability that will have an immediate and enduring benefit to the Fleet,” he said. Anzac received a night vision lighting upgrade in 2016 which allowed the test team to safely perform landings in even the darkest conditions. 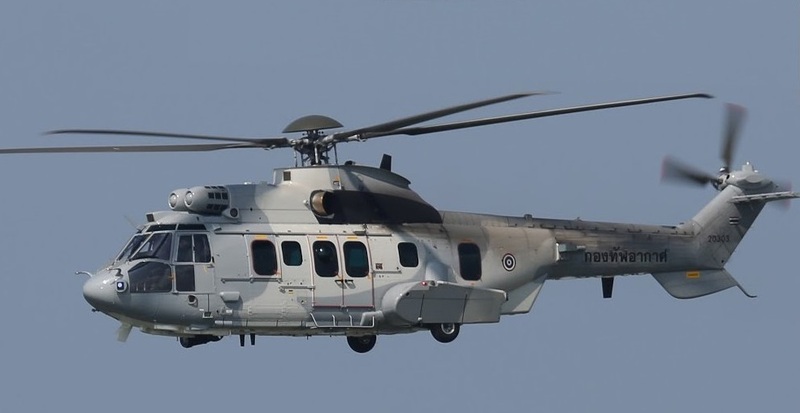 Aircraft Maintenance and Flight Trials Unit Test Director Lieutenant Commander Andrew Rohrsheim said he was impressed with the aircraft’s performance and features which were well suited to the frigate flight deck. The aircraft remained on the flight deck for the period of the flight trial and was exposed to the elements day and night. Nevertheless Cobra 22 still achieved excellent reliability and availability which is a testament to the care and attention provided by the team from the 808 Squadron. Flight Senior Maintenance Sailor Chief Petty Officer Aviation Technician Aircraft Paul Wilson said it was a busy time for his team. To ensure the aircraft was exposed to a wide range of environmental conditions, the embarked meteorologist Lieutenant Tim Forge worked closely with the ship’s navigator to position the ship correctly in preparation for each flying serial. As a result, the ship operated as far north as Cooktown to find warm weather, then repositioned hundreds of nautical miles away the next day to find the required environmental conditions. Four weeks were necessary to explore the full spectrum of weather conditions. 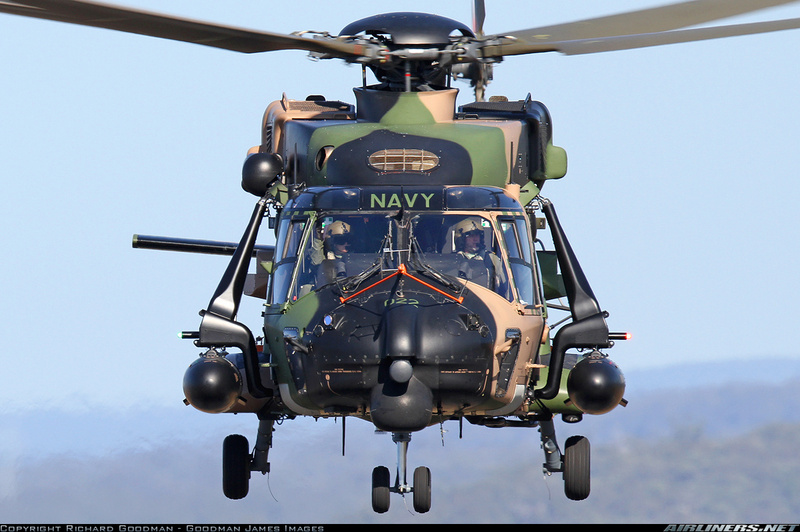 As a result of the trial, MRH90s will soon be available to perform the full spectrum of helicopter logistics support to the Anzac class.As a multi-role helicopter, the MRH90 can undertake personnel transport, search and rescue and replenishment activities. Hanwha Techwin has selected about 100,000 square meters of land near Hanoi, Vietnam to construct a plant to manufacture aircraft engine parts and is requesting the approval of its investment from the Vietnamese government. If approved, the company will start the construction of a plant in August and operate the plant beginning in the second half of 2018. The plant size is about 60,000㎡, which is about eight times the size of a regular football field. Hanwha Techwin is planning to expand its sales of civilian aircraft engine parts to about 1 trillion won (US$900 million), which is the top level in the aircraft parts processing industry, by 2025 by expanding its engine parts production capacity through the establishment of overseas plants. Hanwha Techwin is growing the volume of its engine parts business by winning large-scale parts orders from world-class aircraft engine manufacturers such as GE, Pratt & Whitney (P&W) and Rolls-Royce. "Aircraft engine parts makers such as Dynamic Precision, Barns and Magellan are also expanding their production capacity by constructing manufacturing factories at home and abroad," said an official of Hanwha Techwin. "In the future, based on its technological capabilities, Changwon Factory will serve as a production base for high-value-added products, providing technical support to the factory in Vietnam. The Vietnamese base will take charge of production of products that require price competitiveness by utilizing Changwon Factory’s superior technology capabilities and business experience." 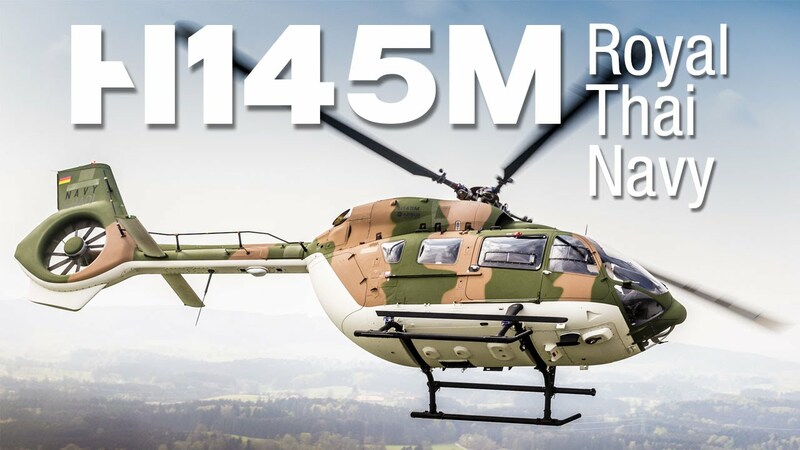 Safran Helicopter Engines has signed a Memorandum of Understanding with Thai Aviation Industries (TAI) during International Paris Air Show to support helicopter engines operated by Royal Thai Armed Forces. The first cut of the steel being used to build the Royal Australian Navy’s auxiliary oiler and replenishment ships (AORs) has been undertaken on 19th. June, following the successful completion of the critical design review. Navantia was awarded the contract to construct the ships which will replace the Navy’s current supply ships HMA Ships Success and Sirius. The new AORs are scheduled to be delivered by 2019 and 2020. Managing Director of Navantia Australia Francisco Baron said today marks an important milestone in the SEA1654 project. "Today we have reached the first major milestone in the delivery of this key enabling capability to Navy”. “Navantia understands the importance of meeting targets at the initial design and build stages to deliver a capability on time and on budget and that’s why the importance of cutting steel today, on schedule, is so important”, Mr Baron concluded. Australian industry will play a key role in the build of the AORs with a minimum $120million of investment into Australian products, skills and expertise. As part of this, 4500 tonnes of the steel has been sourced from BlueScope. Navantia Australia Board Member Warren King says Navantia’s engagement with Australian Industry to build the AORs highlights the capability and capacity of local businesses which has been further demonstrated in the build of the Navantia designed Hobart Class destroyers. “We have a world class supply chain right here in Australia – it’s a combination of the right skills, right people and right attitude – that’s something Navantia Australia has come to know over the years engaged with the Australian supply chain. Mr King says Navantia’s understanding of the Australian supply chain makes Navantia confident that their bid for the SEA5000 Future Frigates project will provide the best opportunities for Australian industry. 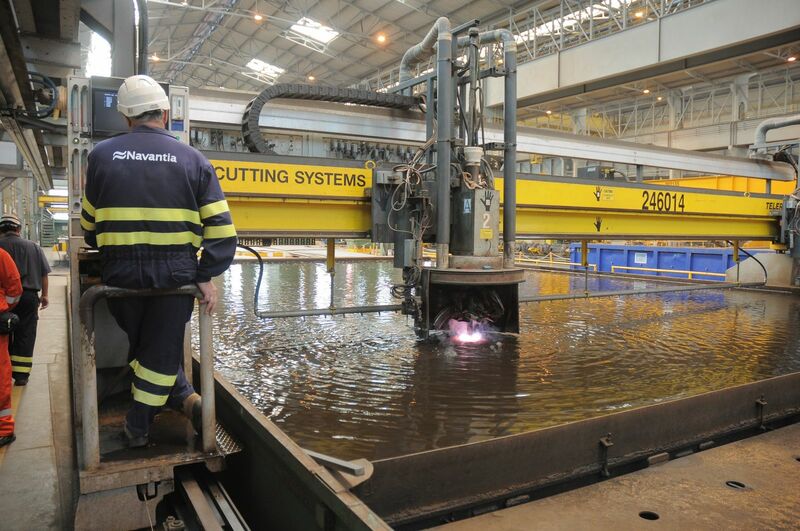 “Navantia sees our local industry as critical to the build of the Future Frigates and critical to the future success of a sovereign shipbuilding industry. It’s a relationship we at Navantia have invested in and will continue to develop to grow Navantia in Australia and to grow Australian industry. 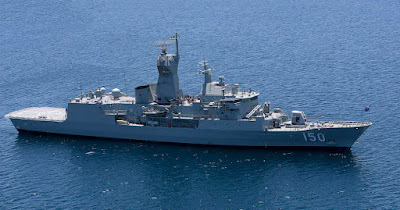 In addition to BlueScope’s steel the AORs Integrated Platform Management System – the system that controls and monitors all the platform systems – will be built in Australia by NSAG, Navantia’s joint venture with Adelaide based SAGE Automation’s Hobart’s Taylor Bros will supply a range of services including hospital, laundry and galley fitouts while SAAB Australia will supply the combat management systems and Raytheon Australia will supply the communications systems. 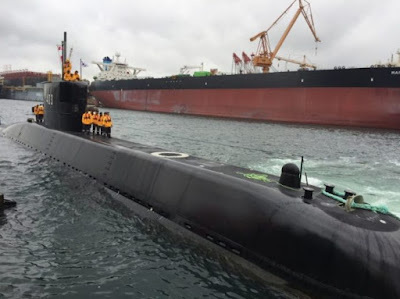 Navantia as full responsible for the sustainment of both ships for their first five years of operation is already working in the sustainment arrangements for the future ships which will imply a bigger presence in Sydney and the opening of an office in Western Australia to support and maintain both ships. The Department of National Defense (DND) confirmed to Update Philippines that Brazilian aerospace conglomerate Embraer was declared as the lowest calculated bidder in the ongoing Close Air Support Aircraft Acquisition Project for the Philippine Air Force. “Embraer was determined as the lowest calculated bidder for the Close Air Support Project, but they still have to undergo and pass the post-qualification inspection to be awarded the contract,” DND told Update Philippines. 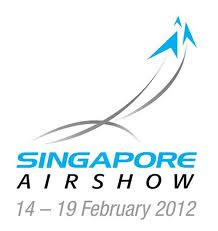 Post-qualification inspection includes the checking of manufacturer’s facilities and the aircraft offered. The said project will acquire six close air support aircraft to replace/complement the Air Force’s Rockwell OV-10 “Bronco” turboprop attack planes. 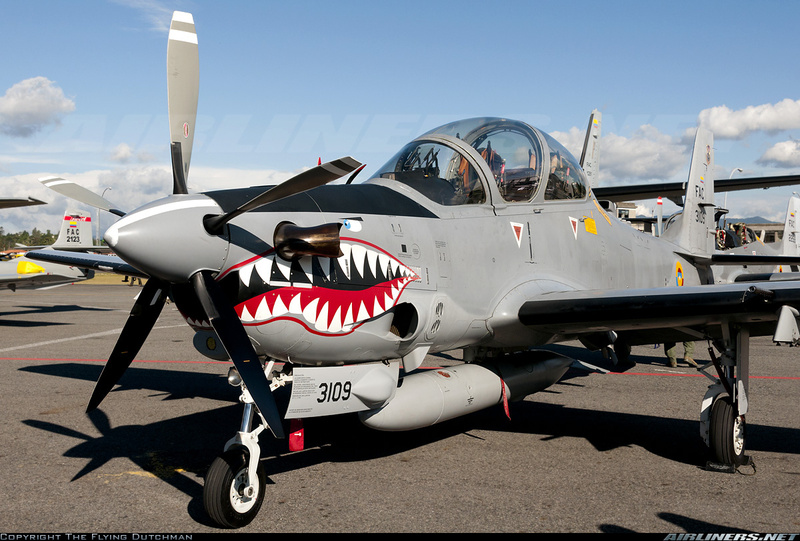 Embraer offered the Embraer EMB 314 Super Tucano also referred to as A-29. The Turnbull Government has announced a $500 million investment to improve Australia’s space-based intelligence, surveillance and reconnaissance capabilities, to support ADF operations around the world and at home to secure our borders. Minister for Defence Industry, the Hon Christopher Pyne MP and Minister for Defence, Senator the Hon Marise Payne today committed $500 million to improve Defence’s access to commercial satellites to provide information to government agencies. This information will be used to support Australia’s defence priorities including defence operations, border protection and humanitarian missions. Minister Payne said that Defence Project 799 was introduced in the 2016 Defence White Paper to enhance Australia’s geospatial-intelligence capabilities. 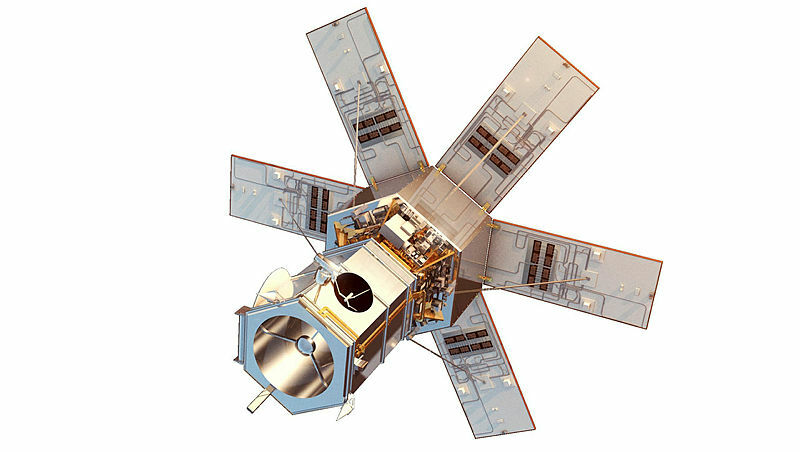 Phase 1 of the project will provide Australia with direct and more timely access to commercial imaging satellites to support a wide range of Defence and national security activities. “Defence’s enhanced access to these satellites will increase Australia’s capacity to maintain surveillance and improve situational awareness for the Australian Defence Force (ADF) and other national security agencies through the provision of high-quality imagery,” Minister Payne said. Minister Pyne said these contracting arrangements will provide improved value for money for the Australian Government when accessing commercial imagery. The investment will immediately create 22 new jobs in Defence and industry across Australia in direct support of the establishment and maintenance of the capability, with many others created in the supply chain as the project matures. “Australian industry will benefit with around $14 million spent locally to build the ground infrastructure to collect imagery from commercial satellites”, Minister Pyne said. A total of $130 million will be spent on support contracts over the 13 year life of the project providing commercial opportunities for Australian companies - including in the Northern Territory and South Australia. This investment will also create opportunities for Australian companies interested in satellite technology and imagery analysis. The Singapore Armed Forces (SAF) is continuing to improve the combat effectiveness of its fleet of ex-Bundeswehr Leopard 2A4 main battle tanks (MBTs) with new capabilities, with the most recent addition revealed to be a commander's panoramic sighting system. 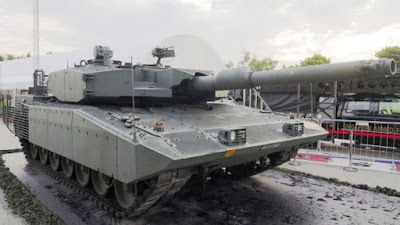 At least two upgraded Leopard 2A4 MBTs - which are operated by the Singapore Army under the designation of Leopard 2SG - featuring the new system, called the Commander's Open Architecture Panoramic Sight (COAPS) were exhibited in public at the Army Open House 2017 (AOH 2017) event from 27-29 May. 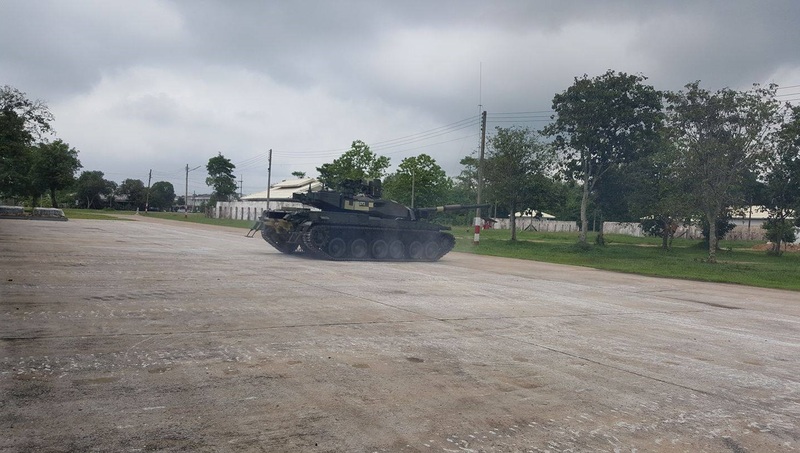 "COAPS is part of the SAF's effort to upgrade the Leopard 2SG since 2010," the Ministry of Defence (MINDEF) revealed to Jane's in an 18 June statement. "Other ongoing upgrades include [the installation] of battlefield management system (BMS), crew compartment cooling system, auxiliary power unit [APU], reverse camera, internal vehicle electronics, and fire-control system [FCS] modifications." Singapore Army personnel with whom Jane's spoke to at AOH 2017 said the new sighting system is supplied by STELOP. 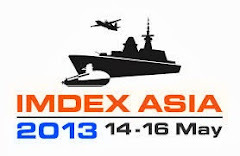 The company is a subsidiary of Singapore Technologies (ST) Electronics, which is the advanced electronics and communication development arm of local defence prime ST Engineering. 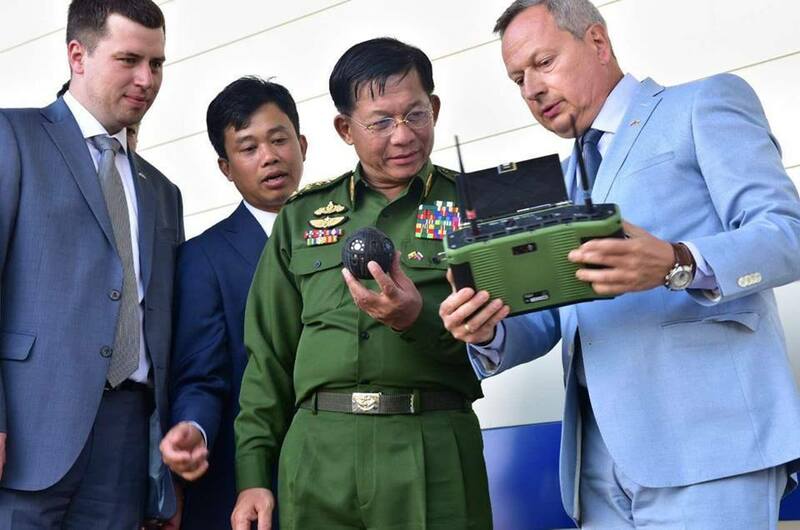 However, industry sources told Jane's that STELOP is manufacturing COAPS under license from Israel's Elbit Systems Electro-optics (ELOP), which has been offering the system on the international market since it was launched in March 2010. According to Elbit's specifications, COAPS is a modular dual-axis stabilised sight aimed specifically at armoured fighting vehicle (AFV) and MBT applications. 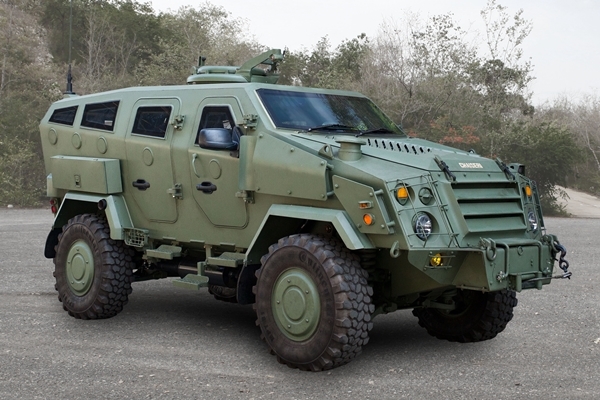 Based on an open architecture design, it can be configured with different sensors, including 3-5 µm or 8-12 µm thermal imagers, day and night charge-coupled device (CCD) cameras, and eye-safe laser rangefinders, to suit mission requirements. 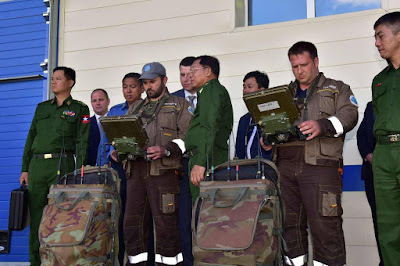 As the global aerospace industry descends on Paris for the biennial aviation spectacle, the chief of the Royal Malaysian Air Force (RMAF) has revealed the contents of his shopping list. A new multi-role combat aircraft (MRCA), new maritime patrol aircraft (MPA) and additional air defence radars are the primary capability acquisition goals, according to RMAF Chief Gen Affendi Buang. In a written reply to Shephard, the RMAF Chief stated that these acquisitions would nevertheless be subject to the availability of funding allocations by the Malaysian government. As an interim measure, the RMAF is considering modifying and integrating some of its CN235 medium transport aircraft with the AMASCOS surveillance system from the B200T. Gen Affendi also said that in regard to the RMAF’s focus under the 11th Malaysia Plan of 2016-2020, and based on the budget allocated under the plan, the RMAF is focused on completing the existing procurement of A400M aircraft and its infrastructure, the final phase of EC725 helicopters infrastructure as well as the Sukhoi Service Technical Centre (located at RMAF Gong Kedak). He also added that the RMAF was also in the process of upgrading its S-61A Nuri helicopters under the Nuri Upgrade Programme 4 (NUP4), its C-130H fleet under the C-130H Avionics Upgrade Programme 2 (AUP2) and its BAE Hawk 100/200s under the Hawk Upgrade Programme. ‘All these upgrade programmes are meant to optimise the asset’s capabilities besides meeting the present Air Traffic Management (ATM) requirement,’ he stated. In regards to the Nuri upgrade programme (being carried out by Airod and Heli-One), the proof of concept helicopter (M23-37) was now on the final stage of issuance of the Supplementary Type certificate (STC) and Certificate of Airworthiness (COA) and this was expected to be done imminently. 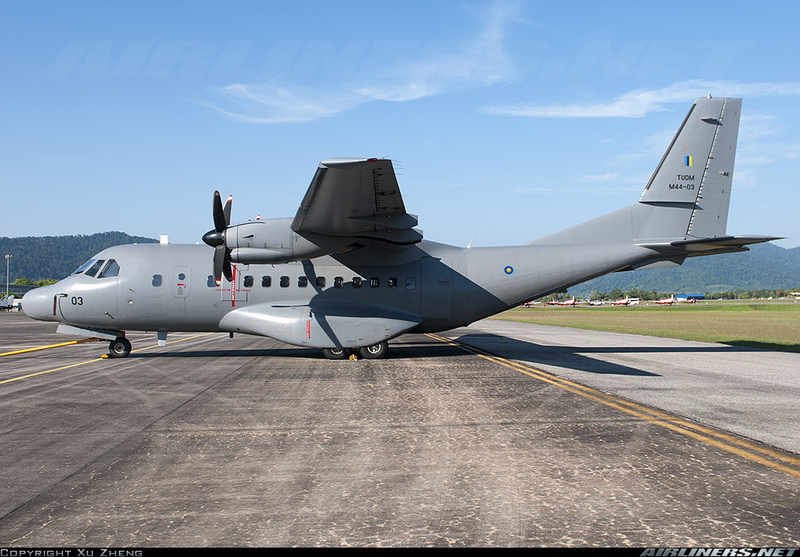 On the C-130H upgrade programme, the RMAF Chief said the service forecast that the first phase of the programme would start by the end of this year. He did not confirm which companies would be doing the upgrade, although it is known that Malaysia’s Airod would be the domestic company doing the upgrade with an undetermined foreign partner. The Hawk upgrade programme was in the negotiation process, he stated, again not specifying the companies involved, although it is known that Airod and BAE Systems (as the OEM) will be doing the upgrade work. Turning to the MRCA programme, Gen Affendi said with the service’s MiG-29 fleet passing the 20-year mark, they were starting to see ‘an increase in capability gap’. Regarding UAV capabilities for the RMAF, Gen Affendi stated that the RMAF was still in the early phases of planning on introducing UAV capabilities within the force. 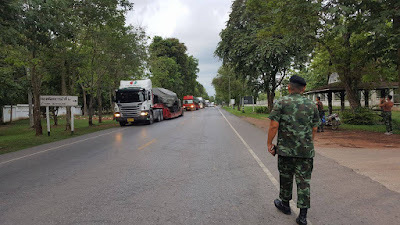 Pada tanggal 13 Juni lalu di pangkalan Angkatan Laut Sattahip telah datang lima tank Oplot pesanan Angkatan Darat Thailand dari Ukraina. Kelima tank ini akan melengkapi 20 tank Oplot yang telah datang sebelumnya sehingga secara total Thailand telah menerima 25 tank T-84 Oplot. 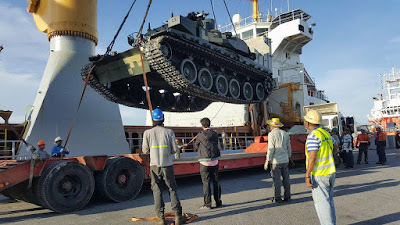 Kontrak pengadaan 49 unit tank T-84 Oplot ditanda-tangani pada November 2011 namun kendala peperangan dengan Rusia menyebabkan produksi tank ini mengalami banyak hambatan. 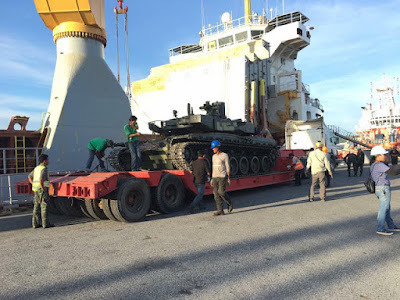 Ukraina berjanji akan menyelesaikan semua pesanan tank T-84 Thailand pada tahun ini, kemudian setelah selesai pengujian pengiriman ke Thailand paling lambat akan diterima pada tahun 2018. 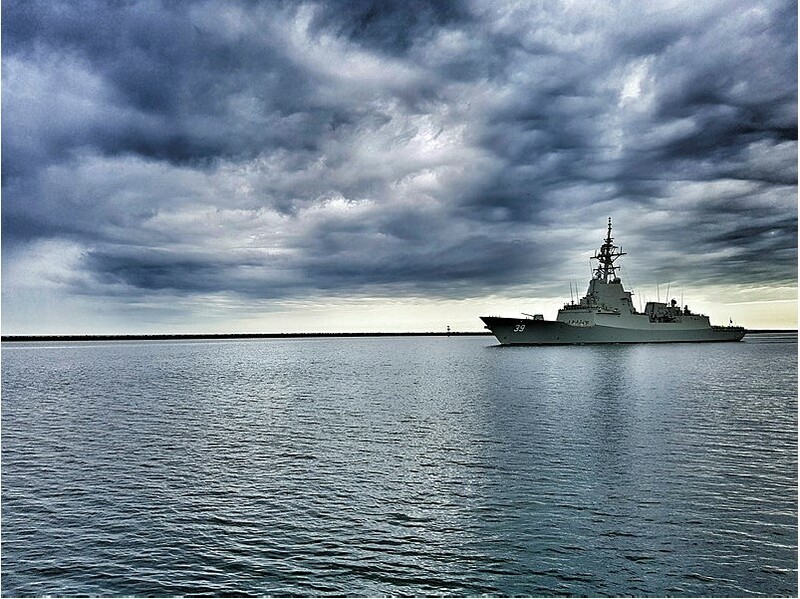 ADELAIDE, Australia – Lockheed Martin Australia congratulates the Commonwealth of Australia for receiving its first Aegis-equipped ship, HOBART at a ceremony marking the occasion today in Adelaide. The handover of HOBART to the Department of Defence marks a significant milestone for Australia – officially joining the Lockheed Martin global Aegis fleet alongside Japan, Spain, Norway, the Republic of Korea and the United States. HOBART marks the 107th ship to join the fleet and the sixth Allied nation to benefit from Aegis capabilities. “Lockheed Martin Australia is continuing to invest in growing Australia’s maritime workforce. We are proud of the superior warfighting capability of Aegis and stand ready to support the Commonwealth with future programs – such as Australia’s Future Frigates, said Vince Di Pietro, Chief Executive, Lockheed Martin Australia. “I am personally proud to see this next milestone achieved in capability, having had the privilege of ceremonially bringing the system to life in Moorestown while the Naval Attaché based in Washington DC,” continued Mr Di Pietro. The Aegis Weapon System is a centralised, automated, command-and-control weapons control system that was designed as a total combat management system from detection to engagement. The Aegis Weapons System enables multi-mission capability, network centric warfare, cooperative engagement capability and growth to SM-6 and future capabilities. The Hobart Class destroyers are being built under Australia’s SEA 4000 program, which will ultimately deliver three advanced multi-mission ships by the end of 2019. These destroyers will be Australia’s first ships to be equipped with Lockheed Martin’s Aegis Weapon System, which integrates commercial-off-the-shelf hardware technology and open architecture software into the combat system. The next Aegis-enabled Ship scheduled for Australia, BRISBANE, continues to make good progress. A team of Lockheed Martin engineers and technicians have completed installation of the Aegis computer program aboard BRISBANE, Australia’s second Aegis-equipped Air Warfare Destroyer. In support of the Commonwealth, Lockheed Martin and the U.S. Navy are committed to the successful delivery of Australia’s Hobart Class Aegis Destroyers.